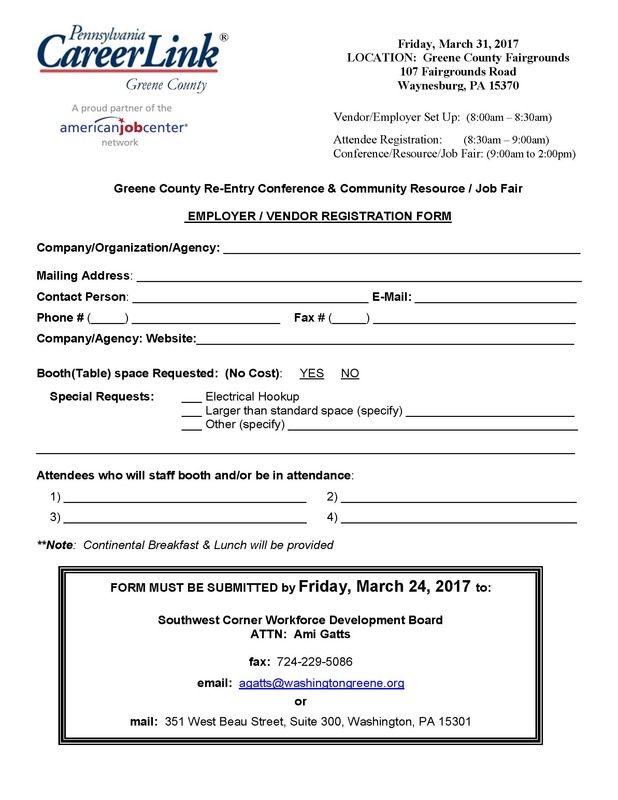 2017-MARCH-VENDOR Registration Form reentry-GREENE Join us on Friday, March 31, 2017 at the Greene County Fairgrounds for onsite appointments with employers, information on training, housing, and a lot more. 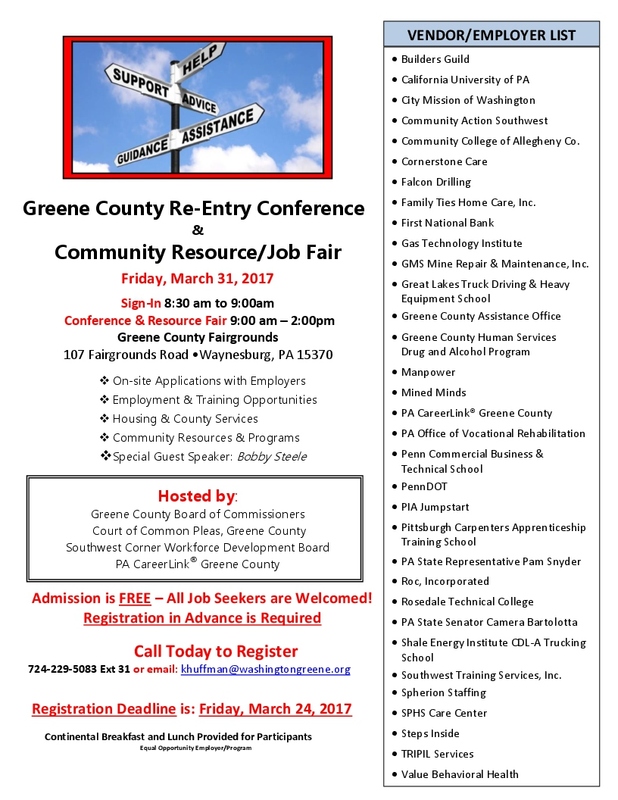 Call 724-229-5083 or email [email protected] to register. 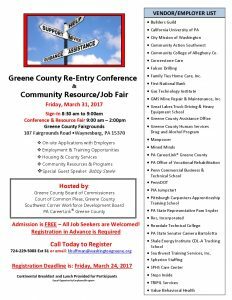 Hosted by the Greene County Commissioners, Greene County Court of Common Pleas, and Southwest Corner Workforce Development Board. More information can be found on the flyer below.